San Diego Wrestling is a charter member club of USA Wrestling. USAW is the national governing body for amateur wrestling in the United States. In turn, USA Wrestling is a member of the United World Wrestling (UWW). All San Diego Wrestling active members must also join USAW. 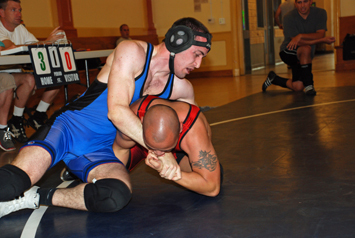 San Diego Wrestling is San Diego's only year round USAW sanctioned wrestling club that caters to the adult wrestler. Wrestlers between the ages of 18 and 34 wrestle in the senior division, and wrestlers aged 35 years and up wrestle in the veterans division. For more information please visit USA Wrestling at www.themat.com. Want to learn even more about freestyle wrestling? JOIN US and get on the mat!